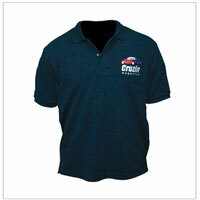 Nowadays, the demand of Promotional T Shirts in Pune Mumbai is rapidly increasing and to cater this demand in the best possible manner, we are engaged in offering a wide array of T-shirts. We are proud to say that the quality of our product is highly appreciated in the market and now we make our reputation in the market as prominent Promotional T Shirts manufacturers, suppliers, and exporters based in Maharashtra. These are designed and developed at our in-house manufacturing facility under the strict guidance of our quality manager who gives assurance that each and every product is made in an adherence to the highest quality benchmarks set by the company. These are widely used to gift the whole staff, so, that every individual engaged in the company looks professional. This is also helpful in promoting brand among more and more customers. Being leading Promotional Logo T Shirt manufacturers, suppliers, and exporters, we are right here to cater all your demands within a stipulated time period. You can send enquiries, to place your order now.